In honour of International Women’s Day, the annual event that celebrates the achievements of women all over the world, Vicky Lau, chef and founder of one-Michelin-starred Tate Dining Room, is making her voice heard from the kitchen with not one but two exclusive events taking place on Friday, 8th March 2019. This includes a charity cooking class that she will host herself, and a special eight-course dinner, complete with cocktail pairings, created by another power woman — bartender Natalie Lau of The Old Man. Proceeds from both initiatives will be donated to The Women’s Foundation, a non-profit organisation dedicated to gender equality and female empowerment in Hong Kong. Voted Asia’s Best Female Chef in 2015, Lau is a leader in her own right and proves that, even within the male-dominated culinary world, the future is still very much female. Vicky Lau, chef and founder of Tate Dining Room. Since opening Tate Dining Room in 2012, Lau continues to spearhead innovative French-Chinese cuisine and share “Edible Stories” with her food. 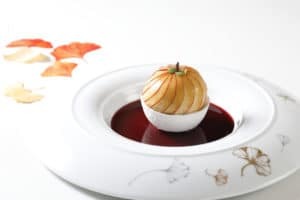 Her award-winning creativity is showcased in the restaurant’s ever-evolving tasting menus; as a diner there, you’re guaranteed a journey through intriguing flavours, playful textures and visual artistry on the plate. One of Lau’s dishes is the ‘Ode to Read Fruit’, made up of crispy yogurt meringue, raspberry sorbet and an osmanthus white chocolate mousse. To support International Women’s Day, a 10-person private cooking class will be held at V-ZUG’s luxury kitchen showroom in Causeway Bay from 11:00am to 2:00pm. Lau will host the masterclass, taking cooking enthusiasts through a hands-on demonstration of three of her dishes. Priced at HK$2,500, the class includes a glass of Ruinart Blanc de Blancs Champagne to pair with the three-course lunch, and all proceeds will be donated to The Women’s Foundation. That same day, an 8-course cocktail pairing dinner will be held at Tate Dining Room in the evening, the result of a unique collaboration between chef Lau and bartender Natalie Lau of The Old Man, which is currently listed number 10 and 5 on the World’s 50 Best Bars and Asia’s 50 Best Bars lists, respectively. 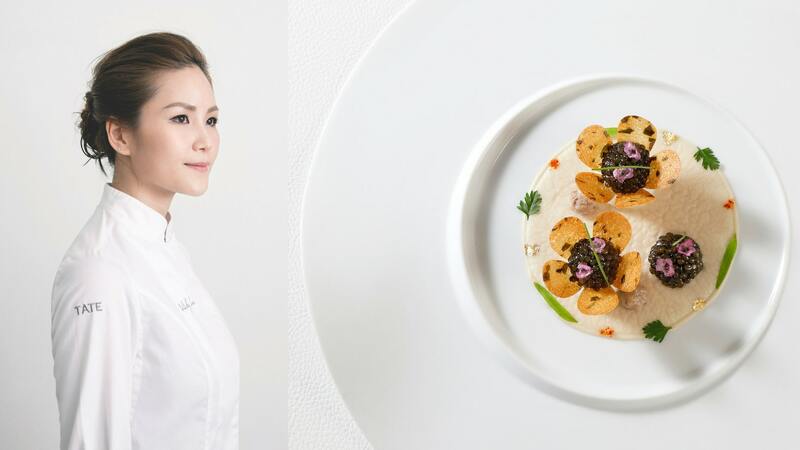 During this one-night-only dinner event, both Laus will work together to offer an exclusive menu priced at HK$1,680 per guest. The cocktail pairing is offered for an additional HK$480, and 15% of proceeds from the evening will also be donated towards the same cause. 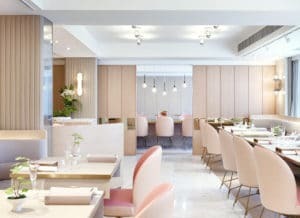 An 8-course cocktail-paired dinner will take place on 8th March 2019 at Tate Dining Room. For the private cooking class, please enquire with V-ZUG Hong Kong or at Tate Dining Room. For the 8-course cocktail pairing dinner with chef Vicky Lau and bartender Natalie Lau, please enquire at Tate Dining Room.